The Rat Pack Boys - the most popular and versatile swing duo in the UK today, available with many exciting and varied options. Rat Pack and swing music are timeless and there are countless numbers of classic and new songs to choose from. The Rat Pack Boys pay tribute to all of the great performers that have given so much from the swing era including Frank Sinatra, Dean Martin, Sammy Davis Junior, Tony Bennett, Bobby Darin, Nat King Cole, and Andy Williams.The choice of swing songs continues to grow with music constantly being rearranged and updated for the modern contemporary swing artists such as Michael Bubl?, Harry Connick Junior and Jamie Cullum giving all of these great classics a new feel and sound. Songs such a ... s That's life, Let there be love, Lady is a Tramp are adapted and harmonised by Tommy and Jonny adding their own twist to many of the swing hits old and new. 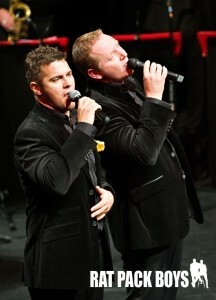 This unique and balanced recipe as entertainers has enabled the boys to become the most popular swing duo in the UK today, no other swing act offers such a varied number of options. The Rat Pack boys have a vast repertoire of songs to choose from and are happy to accommodate your needs for any event,wether its wedding entertainment corporate entertainment or simply a small party. Tommy and Jonny offer many diverse options to accommodate the size of venue and budget.They can perform to professional backing tracks, a solo pianist, a compact trio, a seven piece and a seventeen piece swing band. All options have a different feel and sound, we can advise you on your choice of options to suit your needs your size of venue and budget. They can perform over dinner, add a twist with their very popular interactive singing waiters show, or provide a classic full show setup, we can also supply show girls if your planning a themed event. The Rat Pack Boys are available for corporate entertainment, wedding entertainment, opening nights, parties, Theatre and TV work and any event that needs quality professional entertainment, they are the first choice swing singers. We are contemporary swing singers with a reliable, trusted reputation. Professional singers guaranteed to give your event the WOW factor! We started performing together as The Rat Pack Boys in 2002 and in that time have been fortunate enough to perform at some of the worlds finest venues, such as the Museu Nacional d’art Catalunya in Barcelona, Birminghams Symphony Hall & many of the top luxury hotels in Dubai. Our love of Swing music and performing has been the foundation to our careers as professional singers. We are passionate about what we do and through hard work and years of experie ... nce within the industry are able to offer the very best in wedding and corporate entertainment. We have a vast repertoire of songs, songs made famous by The Rat Pack, Tony Bennett, Nat King Cole, Harry Connick Jnr, Michael Buble’……. all of the swing singers from the past to the present. Why choose us? Working together for many years as a swing duo has enabled us build an excellent rapport and an unmatched chemistry. 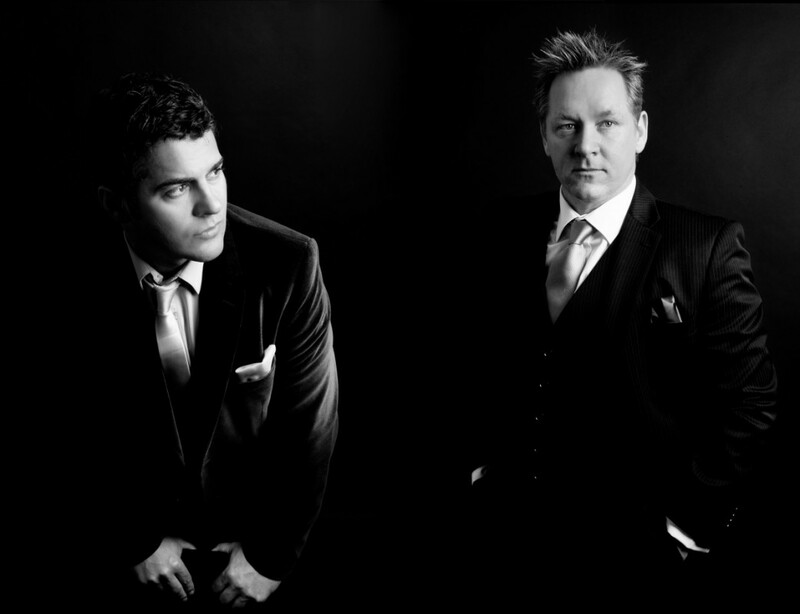 We also offer the advantage of performing as a duo enabling us to harmonise the great swing classics. Our performances can also contain plenty of humour and audience interaction ideal for breaking the ice at any event! Well what can I say? four soundchecks followed by four commercial/charity events on four consecutive days for the Supper Club in aid of the Children in Need Foundation here in Northern Cyprus. A hectic schedule, but one that you handled with the same style and aplomb that you delivered your four excellent performances. I saw the show four times (of course) and it just got better and better, a great mix of rat pack genre music, comedy and well targeted audience interaction and participation. On a personal note I must say you were both a pleasure to deal with, which was a real bonus with this schedule! Rest assured we will stay in touch re future possible events featuring The Rat Pack Boys here in Cyprus. 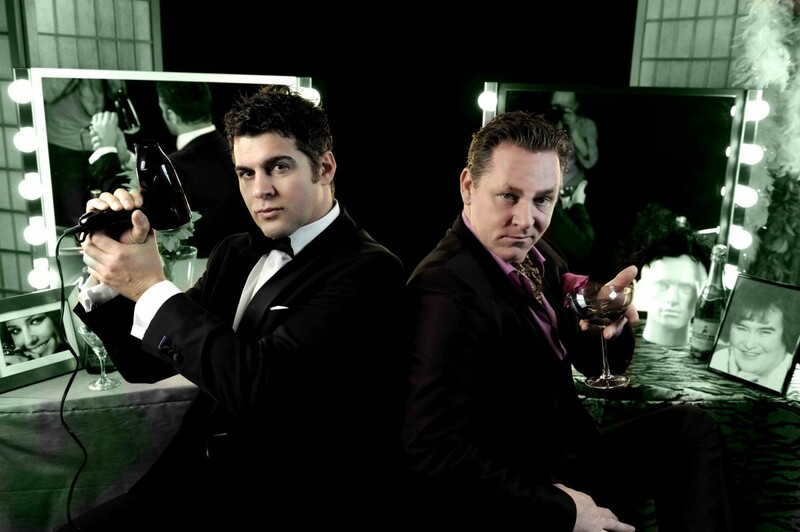 Formed in 2005 The Rat Pack Boys are without doubt the most popular, versatile swing duo in the UK today, their love of performing, combined with a unique act and chemistry has been the cornerstone of their long and successful career in the entertainment industry. Tommy and Jonny started performing together as 'The Rat Pack Boys' over a decade ago and in that time have performed at some of the finest venues throughout the world. Weddings, Corporate Events, Theatres in fact any event requiring professional, quality entertainment they have established themselves as the 'must have' entertainm ... ent. Performing songs from legends such as Frank Sinatra, Dean Martin, Sammy Davis Jnr, Tony Bennett right through to more contemporary swing artists such as Michael Buble, Harry Connick Jnr and Jamie Cullum delivered in a unique style which they've made very much their own. Every show is unique and Tommy & Jonny have the skills and vast experience to tailor their act to suit the occasion be it a surprise performance, an intimate cabaret style show or a full big band, Rat Pack spectacular with showgirls.